Packing is like art - an extraordinary art proving how well-traveled you really are. I guess you've spend hours over an open suitcase totally clueless of what you should and shouldn't pack, what you will need and what you should leave behind. Like the fine art it is, the preparation of a suitcase demands time but mostly, a special way to do it. There are various kinds of trips and it's only logical that the interior of your suitcase has to adjust both to the climate of your destination and the purpose of the trip - what might seem absolutely necessary on a business trip, probably won't cut it on leisure. You just have to learn the way to do it. I am here to offer you my packing tips, share my secrets and make your travel life a whole lot easier I hope. So, read on to find out my most useful tips by category. Suitcase 101: how to choose the right suitcase. Picking the right type of suitcase is essential if you want to dig deeper into the secret world of packing. It is the first and most important investment you make when you start traveling. To do it right you should consider two basic facts: the way you travel and your lifestyle in general. My suggestion is to choose a suitcase that will last you with lots of smart pockets and spaces - do not hesitate to invest a few extra money on your buy, especially if you make a good use out of it -or if it's heading to the airplane's cargo almost all of the time -as buying a new one after a month or two, isn't a good option. I would also suggest you choose one made out of canvas or leather rather than plastic. Plastic suitcases are way heavier and bulkier and as a result, not convienient. If you do choose it though, make sure you always carry a belt for supporting closure. The ideal would be to own two different suitcases: a large one for longest trips and a small, to use as cabin baggage for shortest ones. You will choose between these two depending on your needs and the type of the trip. Say "no" to folding and "yes" to rolling. Instead of folding your clothes, you'll simply roll them to both avoid getting them crinkled and damaging sensitive textiles. You'll be surprised with how much space you'll end up saving - valuable space to be honest. Try putting small, scented pouches between spaces or at a corner of the suitcase to keep your clothes refreshed and smelling great. It's a trick I always do. If you're going to pack dresses or shirts that tend to crease, an easy way to keep them looking polished is to fold them using a piece of paper. Check out the picture beloew to see a step-by-step guide on how to do the folding - not rollling this time. 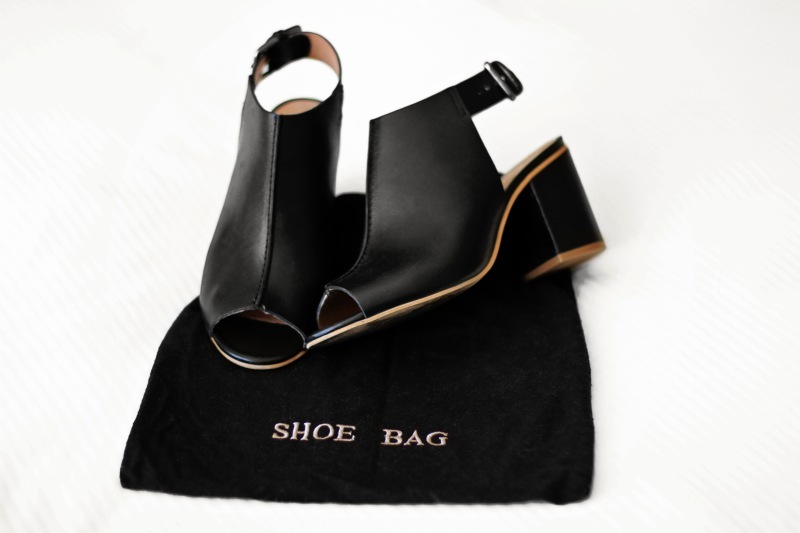 Make sure you keep a few dustbags to store your shoes inside your suitcase - they're great for packing your shoes, as you can wash them afterwards and keep your suitcase looking clean and neat all the time. After all, your suitcase represents you - you wouldn't leave your drawers dirty, would you? For that reason, I almost never use plastic bags to pack my shoes. For your cosmetics you should always follow the mini-size rule. ALWAYS. You either buy a few travel-sized bottles -or store a few samples for that purpose- so you do not have to worry about carrying large bottles of shampoo, shower gel or body cream. Estimate the amount of shampoo you'll need beforehand to choose the bottle accordingly. Also, place a piece of plastic wrap like I did here underneath the cap, to prevent any spilling. Another tip is to put your cosmetics bag at the bottom corner of your suitcase, so as when it's standing, its weight would be forcing down and not towards yor clothes. Fill all the empty spaces inside your suitcase with miscellaneous accessories that don't crease. You could use your shoes, scarves, beanies, sunglasses cases or any chargers (stored inside cases). Never close your suitcase before filling any empty space between your rolled clothes - it's so effective you'll get to finally carry many extras with you, like that sweater for the chilly nights in London. After your suitcase is finally packed, mind to place a tag with your personal info on it and also a locker and a copy of your passport in one of the pockets. Time to move on to packing your handbag. Never leave any valuables or important documents inside your suitcase. If you're tech-savvy like me you'll also keep a copy of your passport saved in your email and not simply in your phone. If you have it in your email, you'll have access to it anywhere you are. The interior of your handbag is generally based on you and your personal preferences. If you feel like carrying a well-organised bag with everything from snacks to a change of clothes (in case you lose your suitcase) or a small bag with just a few essentials, I'm all the way in. Just remember to have your handbag as well organised as your suitcase. When it comes to jewelry, if you'd like to bring them with you instead of leaving them back home, you should either wear them or keep them in your carry-on. Never, ever in your suitcase, especially if you're going to check it in. Okay, now you have succesfully packed your clothing, shoes, cosmetics and essential documents, it's time to move on to gadgets. I love them so much, I made a separate category just for those. I never travel without my top 5 of gadgets: my camera, a Boss (always) headset, iPad, laptop and a power bank. There are a few other little things that will definitely make your trip more cozy, comfy, quiet and overall pleasant. A sleeping mask or a good book are all-time classics. I keep everything organised in separate cases - my iPad, passport and cards. To sum up, I just want to remind you how important it is to carry a well-organised suitcase whether that is for a long weekend or a 10-days trip. To achieve a lightweight but fully organised suitcase, a tip I got is to prepare your outfits for each day of the trip beforehand. By doing that, instead of packing each piece separately, you not only save up valuable space in your bag but also time as you'll have all your outfits picked up and you won't have to waste a single minute of your trip. Remember, you don't need every piece of your wardrobe with you - just a few key-pieces to mix and match easily.